Ex Red Wyvern was an overseas Exped to the Red Sea in Egypt, operating on a dive liveaboard vessel that not only acted as a diving platform, but provided us all our accommodation and real life support needs. The Exped was mainly comprised of Reserve and Regular Soldiers from 165 and 17 Port and Maritime Regts, but there were also a small number of personnel from other units who filled empty slots. 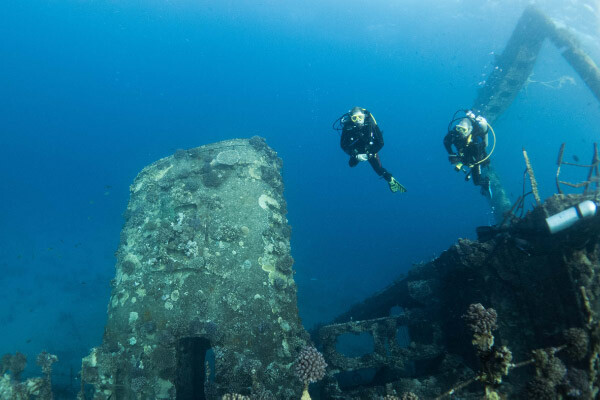 The Exped saw us diving on a wide variety of sites from reef to wreck and we progressively built up the diving throughout the week until everyone had built up their experience to a depth of 35 metres and conducted training to allow them to penetrate the wrecks. By the end of the Exped everyone was comfortably operating at depth, safely conducting penetration dives and buoyancy skills were of a high standard. The Expeds aims were all met. The integration could not have gone better, everyone got on really well and there was no way to distinguish between Reserve and Regular. In fact all the Dive Supervisors and Instructors actually came from the Reserves, showing once more that working together goes both ways. All the sports divers were taken to the limit of their qualification, which is 35m. 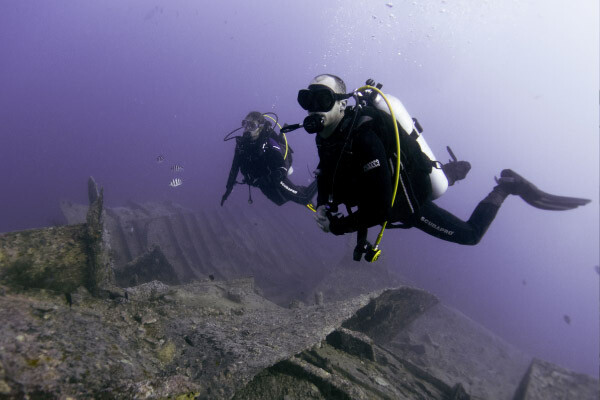 The abilities of the students also increased greatly, showing excellent buoyancy skills and confidently leading dives. The Exped began with an early wakeup, briefs and kit checks were completed and we jumped in for the first dive of the Exped. It was a shakedown dive and was all about weight and kit adjustments followed by practicing skills and drills. The site was a sandy plateau near the alternatives dive site, a little bland with very little to see, but we were visited by dolphins when we were trying to do our casualty drills on the surface. After some theory lessons we had our second dive in the same area but ventured a little further to practice the navigation techniques we had just been taught. The third dive was a night dive, again in the same area. There was lots to see, loads of fish, spotted rays and the lion fish were using our torch light to hunt. On day two, early starts and late finishes are clearly starting to take their toll on the Exped members; five people got ready sitting down and tried to stand without untying their kit from the bench, causing great amusement for everyone else. First dive of the day was the stingray station, but unfortunately no stingrays were seen. Day three took us to the Thistlegorm and everyone was excited for their first dive on this amazing dive wreck. We were lucky enough to be the only ones there and had the whole wreck to ourselves due to the current lack of tourists in Sharm El Sheik. 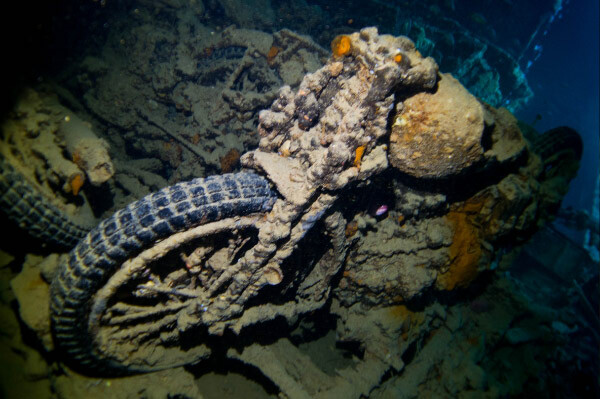 Apparently there are normally loads of divers and this can spoil the experience. We also had our first dive with the Pony cylinders which are 3lt cylinders with their own regulator giving us an alternate air supply or bailout should something go wrong with our main kit. They are a bit awkward at first as they sit on one side of your main cylinder making you heavier on one side and feel unstable in the water. We soon got used to them and adjusted our weight belts to try and counter this and practiced switching regulators in case we ever had to use them for real. The next dive was a night dive on the Thistlegorm. Our first dive gave us the opportunity to find our way around so that we shouldn’t get too disorientated in the dark. There was a lot more life at night, fish were hiding in small holes, others were out hunting. We saw giant moray eels, rays and shoals of fish. As with every other day, diving gets off to an early start. 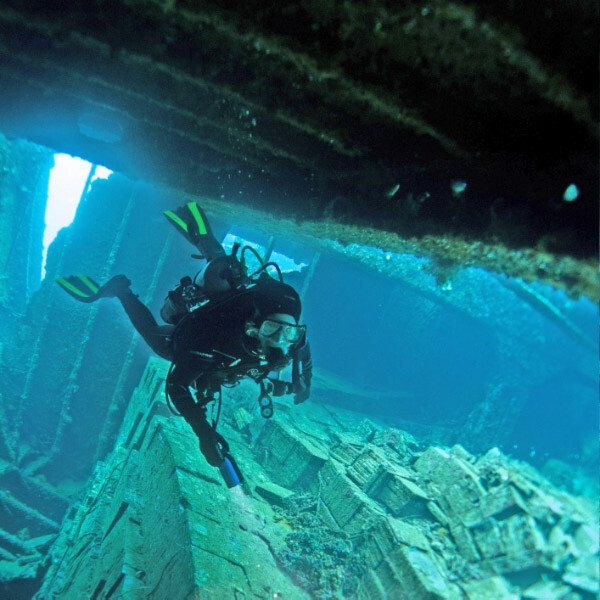 Another amazing dive on the mighty Thistlegorm made all the better by having the whole dive site to ourselves. Today we went into the cargo holds to see all the different vehicles, motorbikes, trucks, plane parts, ammo. It was like a museum seeing all the old military equipment and took our mind of the fact we had no clear overhead escape route. For a lot of us this was the first time we had done penetration diving, this is where you can’t just swim up to get to safety and why we needed to train and use the pony cylinders. If our main kit was to fail we needed enough air to get us to safety and we might not be able to swim close enough to our buddy to share his air whilst inside the wreck, and this is where the Pony comes in. All good things must come to an end, but after four great dives over two days on the Thistlegorm we had to press on. 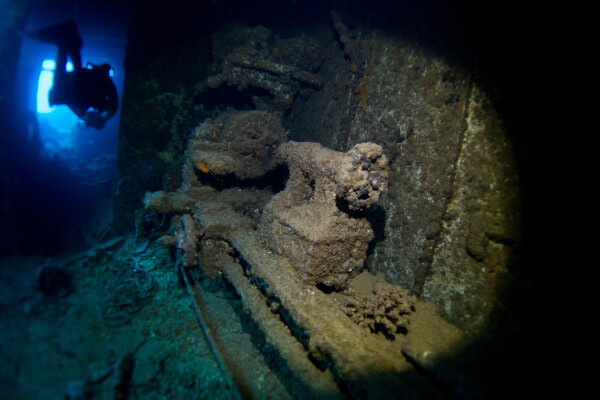 The next wreck was the Ulysses, a little bland looking in the brief compared to the Thistlegorm, but everyone was still excited with the prospect of regular visits from dolphins, but they didn’t appear. The Ulysses is an old wreck laid on her side; the wooden decks have rotted away leaving just the beams and letting lots of light into the wreck. On day six there were a few nervous people as we prepare for a 35m dive, for some this was deeper than they had ever gone. 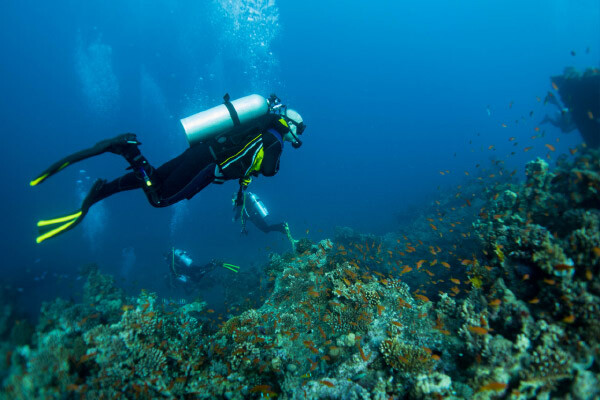 Anything deeper than 30m increases the risk of nitrogen narcosis, in some cases a feeling similar to being intoxicated. All went well with only one person actually feeling any effects. We moved to our final reef where there were four wrecks all in a row, we planned to do three over the next two days. We started with the tile wreck, so called because surprise surprise it’s full of tiles! There is actually a bit of confusion over exactly which wreck this is as two identical ships carrying the same cargo, owned by the same company, hit the reef a month apart! One has slipped into the great depths leaving just the one, but there are many arguments over which one remains so everyone just calls it the tile wreck. It is a great dive, you enter a crack in the side of the hull and enter through the engineers workshop. You can still see the old pillar drill, lathe and an open tool drawer. From here you exit into one of the cargo holds full of tiles. 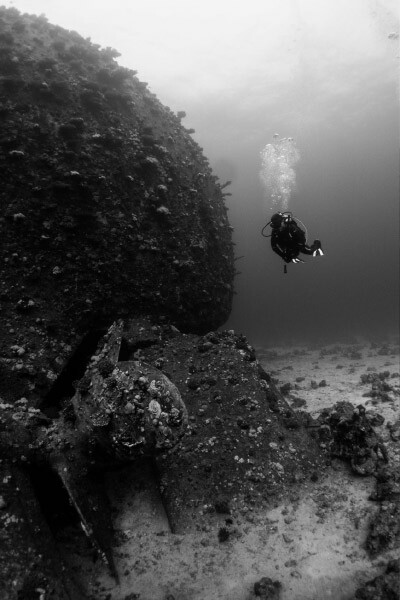 After a lap of each cargo hold we did a lap of the wreck, as most of it is quite shallow there is a lot of light and reef life making it a very picturesque wreck inside and out. 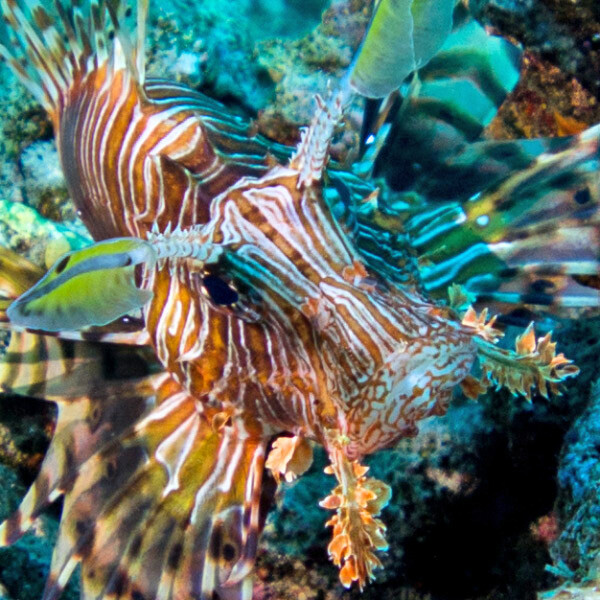 Last day, but with some great dives still lined up. First we dived the Carnatic, very similar looking to the Ulysses, but she still has her bow. The stern is fantastic and reminded us of a pirate ship with what looks like big windows all round. There is a round hole on the bow where the bow spit was once secured and now provides a great little window to look inside the wreck. The second dive was the Giannis D, no arguments over the identity of this wreck as there is a giant D on the funnel. This is a great wreck for penetration as you can easily get into the engine room. It was another really enjoyable dive with lots of rooms and two big corridors to explore. Everyone got into the engine room and had a really good explore of the outside of the wreck. Finally we dived the El Mina, an old Egyptian mine sweeper sunk just outside the harbour of Hurghada. Only a few of us were up for this dive, the rest opting to give it a miss and start cleaning and drying kit ready for the journey home. To view more photographs and to read more information on the wreck of the Ulysses, you can download the full expedition report here.